CBD is often consumed as an extract. A federal appeals court has turned down a challenge by the hemp industry to the DEA’s official ruling that CBD is a controlled substance. But questions about whether CBD should be treated as a controlled substance remain pending at the state level. The 9th U.S. Circuit Court of Appeals in San Francisco last week turned down a bid by producers of CBD extracts to prevent the Drug Enforcement Administration from classifying their preparations as illegal drugs. In the litigation, the Hemp Industries Association challenged a DEA rule issued in December 2016 that established a “code” for cannabidiol, or CBD, the non-psychoactive cannabinoid highly valued for its medicinal properties. The plaintiffs contended that the DEA overstepped its authority because CBD is not listed in the Controlled Substances Act, the 1970 law establishing “schedules” for federally regulated or prohibited drugs. Hoban Law Group, the Denver-based firm that argued the case, said the rule could be misinterpreted by other federal and local agencies, lead to unlawful product seizures and have a chilling effect on a burgeoning multibillion-dollar industry. 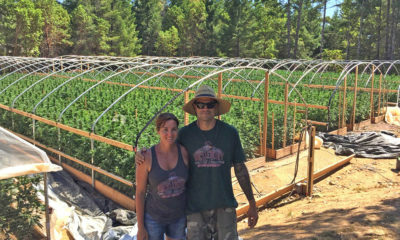 They secondarily argued that production of the extracts are protected both under state laws and under provisions of the 2014 federal Farm Bill intended to stimulate the hemp industry. But, as the Denver Post reports, the court rejected both these arguments in its April 30 ruling. The 9th Circuit judges said the litigants had their chance to comment during the DEA’s rule-making process last year, but failed to do so. This may not be as bad as it superficially sounds. Contrary to sensationalistic reports at the time, the rule issued by the DEA in 2016 did not “reclassify” CBD extract as a Schedule 1 drug. The rule is a “clarification” that CBD and other extracts are covered by the general Schedule I classification for cannabis. It actually changed nothing. In fact, the DEA said the creation of a code for extracts that contain no THC (the principal psychoactive cannabinoid) was actually intended to help facilitate controlled studies of their potential medical applications. “From a practical standpoint, we are giving priority, actually, to those researchers who are conducting research with marijuana extracts, [which] the internal code will allow us to track and prioritize,” DEA spokesperson Russ Baer told U.S. News & World Report after the rule was issued in December 2016. And while the 9th Circuit judges found that the DEA’s rule did not violate the 2014 Farm Bill (officially the Agricultural Act), they did acknowledge the legal right to grow industrial hemp under that law — defined as cannabis sativa L. varieties with a less than 0.3 percent concentrations of tetrahydrocannabinol, or THC. “The Agricultural Act contemplates potential conflict between the Controlled Substances Act and pre-empts it,” the judges wrote. Hoban Law attorney Garrett O. Graff pointed to this as a “silver lining” in the ruling, according to the Denver Post. “The sky is not falling, based upon this decision,” he said. So a federal crackdown on CBD does not appear imminent. The threat of state-level crackdowns on CBD products does remain a possibility, meanwhile. In March, the Texas Department of State Health Services announced a draft plan to pull CBD products from the shelves — even if they contain no THC. Public comment on the issue has closed, and a final decision is to expected imminently from the agency’s commissioner, Dr. John Hellerstedt. Attorney Robert Hoban of Denver’s Hoban Law Group has sent a letter to the Texas health department warning that enacting the proposal would do “devastating and irreparable” damage to the emerging hemp industry, according to the Denver Post. The proposed rule is also protested by the Texas Cannabis Industry Association, which notes that health department was silent when the state law governing CBD products was drafted. Federally, CBD remains in something of a gray area — technically in the same category as THC, but treated differently in practice. The impending Texas decision will determine how much breathing room CBD products will have in one of the union’s more conservative states. TELL US, do you know the difference between CBD and THC? Yes, THC has an altering effect on ones perception, emotion and behavior; the high. CBD does NOT. Hemp has all the benefits of the cannabis plant WITHOUT the HIGH! Everyone needs to be able to freely buy and benefit from the over 80+ cannabinoids in Hemp CBD WITHOUT the HIGH! Please help the public get educated! some of my response is not showing up and it reads incorrectly! the conversation now shouldn’t be about THC vs CBD. There needs to be clarity on hemp derrived CBD and Marijuana derived CBD. Hemp CBD should face zero regulations nationwide while CBD from marijuana would be treated as any other marijuana product. Things are progressing in the right direction, but there is so much misunderstanding by the general public.